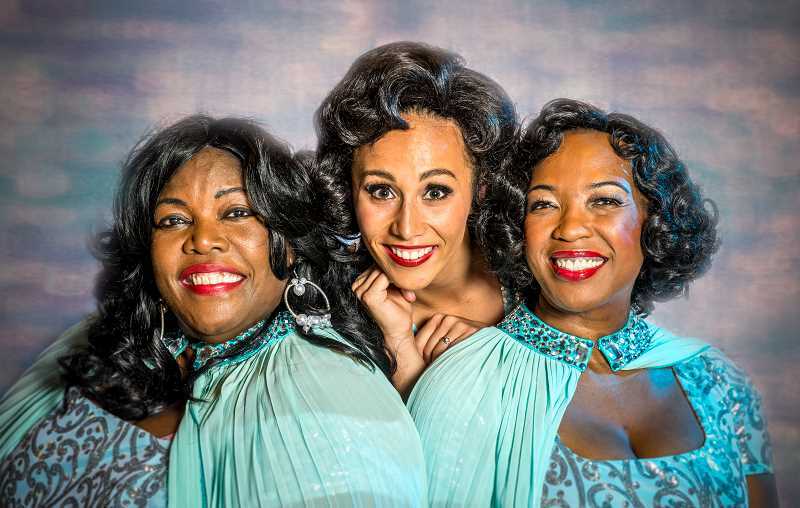 Stumptown Stages opens its 14th season with the sensational musical "Dreamgirls," continuing through Nov. 4 at Portland's center for the Arts. A sweeping and inspirational journey through 20th century American popular music, "Dreamgirls" chronicles one Motown group's rise from obscurity to superstardom. Through gospel, rhythm and blues, smooth pop, disco and more, "Dreamgirls" explores themes of ambition, hope and betrayal, all set in the glamorous and competitive world of the entertainment industry. "'Dreamgirls" is a show about a time in American musical history when rhythm and blues blended with other styles of popular music to create a new American sound. Act One is set in the fabulous '60s, a time when Americans were still screaming at Elvis and listening to the Beatles but were dancing to a new beat of countless girl and boy groups like the Supremes, The Marvelettes, The Temptations and the Shirelles. But "Dreamgirls" is not just about the singing and the dancing and the performing. The play is also about the behind-the-scenes reality of the entertainment industry — the business part of show business that made this cultural phenomenon possible. Act Two shows the creation and the arrival of disco — though the word is never used in the script. "The subject matter of this play deals with a musical contribution to America of such importance that only now — decades later — are we beginning to understand," said Michael Bennett, the director, writer, choreographer and dancer who created "Dreamgirls" for Broadway in 1981. The show earned him his seventh Tony Award and ran on Broadway for three and half years. The Portland production features Julianne Johnson as Effie Melody White and John Devereaux as Curtis Taylor Jr. The cast also includes Shahayla Ononaiye as Deena Jones, Kristin Robinson as Lorrell Robinson, Jarvis Sam at James "Thunder" Early, Blake Stone as C.C. White, Jalena Montrond as Michelle Morris. The play is directed by Roger Welch. Performances are scheduled for Thursday, Friday and Saturday nights, as well as weekend matinees. Tickets are available online at Stumptownstages.org.